With a new year approaching, it’s time to reflect on the past year and prepare for the next one. For Richmond, 2013 was one for the history books. The city sparked a national debate around using eminent domain as a tool to stem the home foreclosure crisis, city leaders pushed progressive policies, and crime continued to drop. In short, 2013 was a year of tumult in government and relative calm in the streets. Below are some of the highlights. If the Richmond CARES program moves forward, 2013 may be remembered as the year Richmond took on Wall Street, saving thousands from losing their homes. Or it could be remembered as the year civic leaders hatched a risky plan that bankrupted the city. The program proposes buying hundreds of underwater mortgages to prevent foreclosures. If the banks or investors refuse to sell, the city would use eminent domain to seize the mortgages, a novel application of the legal tool. While the city is divided on the issue, one thing is certain: Richmond has sparked a national debate. “Honestly, I think Richmond is re-writing the history books with this,” said Jose Vega, a Pittsburg, California resident who supports the plan. Critics claim the program has already cost Richmond millions in lost bonds revenues, and resulted in at least two lawsuits. More litigation is almost certain if the city presses forward. While the plan’s fate remains uncertain, it was one of the most important news stories in 2013. Just five years ago it would have been hard to imagine how safe Richmond is today. The city’s homicide rate is at a 33-year low, and auto-thefts, residential burglaries, and other crimes are down, according to police records. Many attribute the drop in crime to innovative crime-fighting programs and improved police-community relations. Since Chief Chris Magnus took the helm in 2006, the department has invested heavily in community policing. In 2013, the department also acquired an arsenal of crime-fighting gadgets. Over the past year RPD purchased: Predictive policing software, which forecasts when and where certain crimes are most likely to occur; Automated License Plate Readers, which can photograph thousands of license plates a day, helping police recover stolen cars; and officer body cameras, which help police collect evidence. Police officials say the investment will help them make Richmond safer. In an effort to improve relations with the community, Chevron has donated millions to local non-profits and schools. Still, 2013 will be remembered as the year that more than 2,000 activists rallied against the refinery, Chevron faced unprecedented lawsuits and grappled with an emerging regulatory regime. In response to the 2012 fire, which sent thousands to the hospital, the city filed a historic lawsuit against Chevron last summer. It was the first time the city sued its largest employer, even though the refinery has seen at least 14 dangerous incidents since 1989. The suit alleges that the company placed profits over public safety. “We don’t want to see another toxic plume traveling across Richmond and the Bay Area,” Mayor Gayle McLaughlin said at a news conference when she announced the lawsuit. Chevron had already agreed to pay $2 million in fines and restitution, and is the target of a class-action lawsuit that has thousands of plaintiffs. The century-old refinery is also facing an uncertain regulatory future, even as it pushes forward its billion-dollar modernization project. 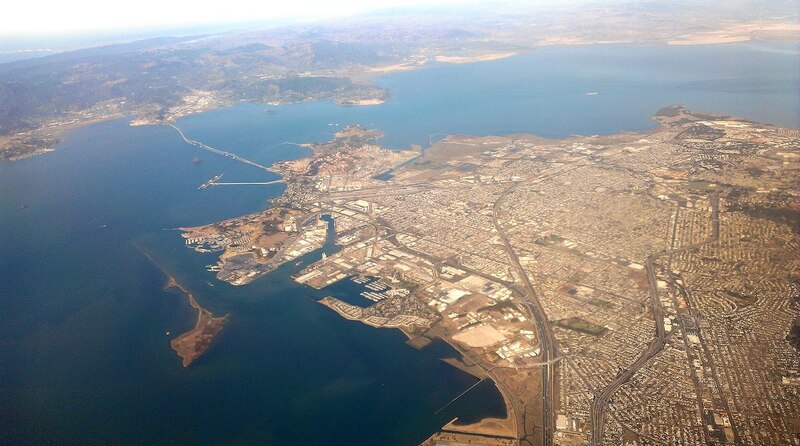 The Bay Area Air Quality Management District passed a resolution this year to reduce greenhouse gas emissions to pre-1990 levels in the Bay Area. To meet this goal, some say refineries will have to be shut down. “Basically what this would do is it would prohibit refining fossil fuels in the Bay Area,” said Jessica Dervin-Ackerman, a spokesperson for the Sierra Club, an environmental group that worked closely with the agency on the resolution. Representatives from the petroleum industry disregard the doomsayers, but there’s no denying that if the resolution is enforced, Chevron will need to reduce its greenhouse gas emissions. And lastly, the U.S. Chemical Safety Board has recommended sweeping reforms to California’s petroleum industry after investigating the 2012 fire at Richmond’s refinery. The board recommended beefing up safety precautions and increasing inspections. “The report advocates a fresh regulatory system, a quantum leap toward making refineries and chemical plants safer,” said board Chairman Rafael Moure-Eraso. In short, it was a tough year for Chevron. In the beginning of 2014, the refineries modernization project will be reviewed. In turn, 2014 should also be another big and controversial year for the oil company. Richmond’s shoreline saw a flurry of activity this year. Starting at Richmond’s southern edge, development at the Richmond-Bay campus slowed down due to federal budget cuts. The campus—which is a partnership between UC Berkeley, the Lawrence Berkeley National Laboratory, and the city of Richmond—would consolidate Berkeley researchers at a single site. Currently they’re strewn amongst a number of labs in the East Bay. Once complete, the campus could generate 10,000 jobs, and make the city an epicenter for bioscience, health and energy research. City Manager Bill Lindsay said UC Berkeley is still committed to the campus, although the federal sequester has halted any new projects for the Lawrence Labs. A bit further north on Richmond’s coast, a hometown hero was transformed into an international celebrity. Betty Reid Soskin, a 92-year-old park ranger at the Rosie the Riveter National Historic Park, became the face for thousands of furloughed workers during the federal government shutdown. Soskin drew crowds from all across the world who came to see possibly the oldest National Parks Service ranger in the United States. Just around the horn of Richmond’s shoreline, the Point Molate Beach Park re-opened after being closed for more than a decade. The park is the only stretch of beach run by the city, and resident’s say it’s one of Richmond’s many hidden gems. The park overlooks the Richmond San Rafael bridge, and has wonderful views of Mount Tamapais. While 2013 was a big year, 2014 should be equally exciting. The city will elect a new mayor and council. The fate of the Richmond CARES program, Chevron’s modernization project, and the Richmond Bay campus will all become clearer in the coming year as well. Obviously some of 2013’s major events weren’t included in this roundup. Please use the comments section to tell us what you think were the most important events of 2013. From everyone at Richmond Confidential, Happy New Year! It has been a pleasure covering this exciting city in 2013. Sally Schilling, Nancy Deville, Kevin Hume, and Leo Zhou contributed to this report. Thank you, Richmond Confidential reporters, for your enthusiastic coverage of the city. Happy New Year! I am so impressed with the content that you all continuously present. In my eyes you are re-setting the standards for what news should be… Informative and empowering. I am so proud you are a part of our community.